Would you like to improve your Customer Service levels and make price irrelevant? 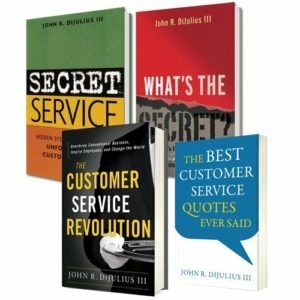 The DiJulius Group has developed unparalleled Customer Service content, consulting, training, and products, that provide our clients with a competitive advantage; making them the brand their customers cannot live without. Recognized as the world’s leading authority on Customer Service, The DiJulius Group’s client list includes The Ritz-Carlton, Lexus, Starbucks, Nordstrom, Nestle, Marriott Hotel, PWC, Cheesecake Factory, Chick-fil-A, Aveda, Harley Davidson, and more. Our Customer Xperience Executive Academy and annual Customer Service Revolution conference are attended by some of the world’s most iconic service brands. 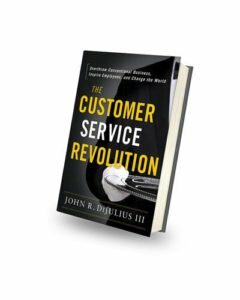 Join us, and discover what being a part of the Customer Service Revolution can mean for your business. Do you know your company service aptitude? The Company Service Aptitude Test [C‑SAT™] is a free tool based on the X‑Commandment methodology to providing a World-Class Customer experience. It pinpoints the Service Aptitude Level of your organization and lets management know where the strengths and opportunities lie.